Breast cancer treatment can be divided into three groups: surgery, drugs and radiation. If the cancer is at the early stage, surgery is utilized. The latter stages are treated with surgery, drugs and radiation. The specific procedures will vary on a case to case basis, but the following can serve as an overview of the treatments. If it is stage 1 cancer, lumpectomy is performed. 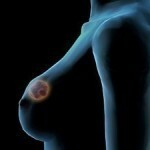 Lumpectomy is the surgical removing of the lump. Depending on the situation, lumpectomy may or may not be accompanied by radiation. 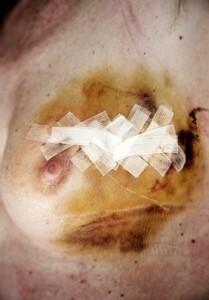 If the entire breast has to be removed, mastectomy has to be performed. Stage 2, stage 3 and stage 4 also require mastectomy or lumpectomy as well as other drugs. Apart from surgery, medication is given to the patient. The administration of the drugs is called adjuvant therapy. These medications can be broken down into three groups: monoclonal antibodies, chemotherapy and hormone blocking therapy. One or all three groups may be administered. Hormone blocking therapy is used for blocking estrogen receptors. 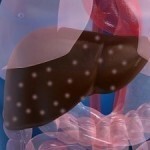 The drugs can block these receptors and prevent the cancer from growing and spreading. 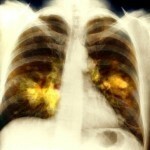 This treatment is administered for stage 2 to 4 cancer. They are given in combination. One of the most widely used is cyclophosphamide plus doxorubicin. They work by destroying the DNA in the cancer. However they also have negative effects on non cancerous cells. The results are the unpleasant side effects associated with chemotherapy. Other drugs that can be given are taxane drugs. These destroy the microtubules present in cancer cells. Other breast cancer treatment drugs that destroy cancer cells are fluorouracil, cyclophosphamide and methotrexate (CMF). Chemotherapy usually denotes non-hormone cancer medication. However, it can actually refer to any type of drug used to fight cancer. The monoclonal antibodies are used for treating stage 1 to 3 cancers. Trastuzumab is a monoclonal antibody used for treating HER2+ breast cancer. The HER2 receptor is found on cancer cells. The presence of this receptor causes the cells to divide and cancer to spread. Trastuzumab is just one monoclonal antibody type; there are others currently being tested. This is administered to the section of the tumor. It is used to eliminate the microscopic tumors that may have not been removed during surgery. Radiation therapy comes in two forms: brachytherapy or external beam radiotherapy. Studies have shown that radiation can limit cancer recurrence by 50%. One of the most common side effects is fatigue. 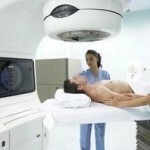 The skin area which is being treated in radiation therapy may darken. This skin change may be temporary or permanent. Other common side effects are tenderness in the afflicted area, stiffness of muscles and insomnia. Chemotherapy side effects include hair loss, physical weakness and loss of appetite. The psychological and emotional impact of these treatments is also severe. The research for new and better forms of breast cancer treatment is still ongoing. As of this time, there is no known cure for stage 4 cancer. All stage 4 treatments can only aim to prolong the survival period by about half a year.